John James Audubon, impressed by their speed and agility, said a lone passenger pigeon streaking through the forest “passes like a thought.” How prophetic-for although a billion pigeons crossed the skies 80 miles from Toronto in May of 1860, little more than fifty years later passenger pigeons were extinct. The last of the species, Martha, died in captivity at the Cincinnati Zoo on September 1, 1914. As naturalist Joel Greenberg relates in gripping detail, the pigeons' propensity to nest, roost, and fly together in vast numbers made them vulnerable to unremitting market and recreational hunting. The spread of railroads and telegraph lines created national markets that allowed the birds to be pursued relentlessly. Passenger pigeons inspired awe in the likes of Audubon, Henry David Thoreau, James Fenimore Cooper, and others, but no serious effort was made to protect the species until it was way too late. 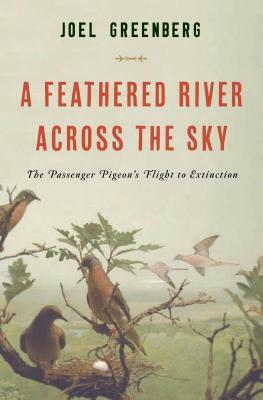 Greenberg's beautifully written story of the passenger pigeon provides a cautionary tale of what happens when species and natural resources are not harvested sustainably. Joel Greenberg is a research associate of the Chicago Academy of Sciences Peggy Notebaert Nature Museum and the Field Museum. Author of three books, including A Natural History of the Chicago Region, Greenberg has taught natural history courses for the Morton Arboretum, Brookfield Zoo, and Chicago Botanic Garden. He helped spearhead Project Passenger Pigeon to focus attention on human-caused extinctions. Greenberg lives in Westmont, Illinois. Visit his blog at Birdzilla.com.